Over the past decades, various techniques have been developed to obtain materials at a nanoscale level to design biosensors with high sensitivity, selectivity and efficiency. 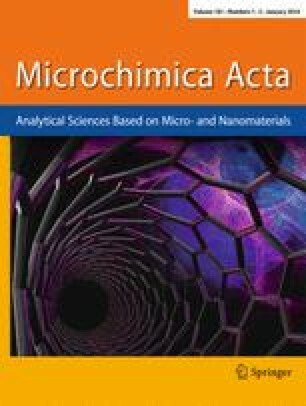 Metal oxide nanoparticles (MONPs) are of particular interests and have received much attention because of their unique physical, chemical and catalytic properties. This review summarizes the progress made in enzymatic biosensors based on the use of MONPs. Synthetic methods, strategies for immobilization, and the functions of MONPs in enzymatic biosensing systems are reviewed and discussed. The article is subdivided into sections on enzymatic biosensors based on (a) zinc oxide nanoparticles, (b) titanium oxide nanoparticles, (c) iron oxide nanoparticles, and (d) other metal oxide nanoparticles. While substantial advances have been made in MONPs-based enzymatic biosensors, their applications to real samples still lie ahead because issues such as reproducibility and sensor stability have to be solved. The article contains 256 references. A comprehensive and critical review on enzymatic biosensor based on metal oxide nanoparticles (MONPs) was provided. The progress and future perspectives of MONPs based enzymatic biosensing system were discussed. This work was supported by the National Natural Science Foundation of China (No. 21175046), New Century Excellent Talents in University (No. NCET-09-0357) and Open Foundation of Shanghai Key Laboratory of Green Chemistry and Chemical Process.